I recently joined a Silhouette Group on Facebook. I’ve had mine for over a year and I’ve only used it a few dozen times, that’s pretty awful for such a versatile (and expensive!) machine. For my first project I wanted to do something I’ve never done before. I love all the designs with stacked paper, different pieces cut and glued/taped etc together but I’e avoided them in favor of things I can cut in one piece and use. After you buy and download your shapes open up the file. Obviously you don’t want all the pieces to be the same color so you need to split up your shapes. Click on the shapes to select them. 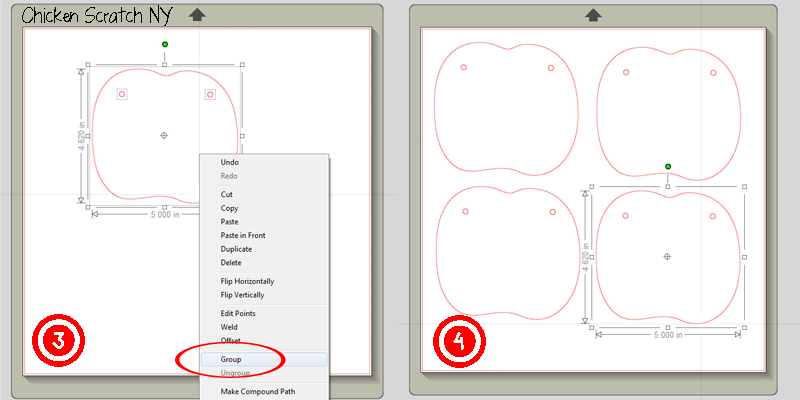 Left click on the shapes to select then RIGHT click and select “Ungroup”. With this design I had to ungroup twice, the 1st time separated the little holes from the other designs, the 2nd time pulled all the pieces apart. 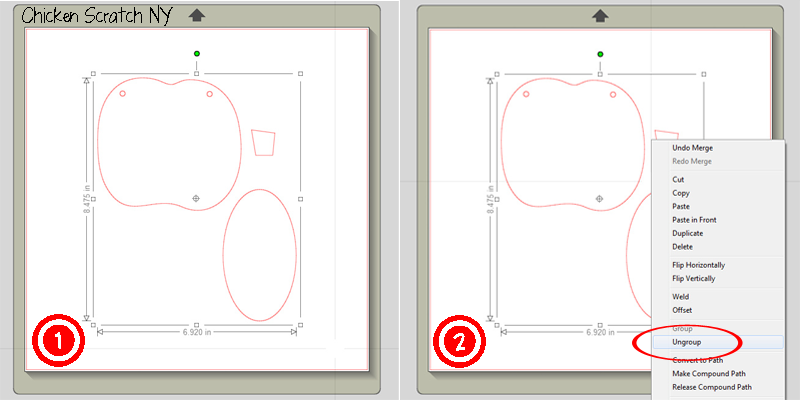 Draw a box around the large pumpkin shape (you will automatically select the 2 little holes) RIGHT click again and select “Group” (I had already removed the other pieces when I took this screen shot, I’ll go over that in a sec). This makes the pumpkin and the 2 little holes onto one piece again, if you skip this step and try to move the pumpkin the little holes won’t go anywhere. I wanted to cut as many pumpkins as possible on each sheet so I copied and pasted until I had 4 pumpkins. To copy: select your shape and hit [Ctrl + C] or RIGHT click and select [Copy]. To paste: select your shape and hit [Ctrl + V] or RIGHT click and select [Paste]. Move your pumpkins around until they aren’t touching and are evenly spaced. You might be wondering how I got rid of all the other pieces. Start by opening up a new window. Click back over to your original page. Select the stem shape. ‘Cut’ the shape by selecting it and clicking [Ctrl + X]. Your shape should disappear so don’t panic! Paste your shape into the new window. Open another new window and do the same with the oval front pumpkin. This is a little bit confusing and I’m sorry the picture is so huge. Since I cut 12 pumpkins I needed 12 stems and I wanted to cut them all at once. In my new window I ‘pasted’ until I had 8 stems then  drew a box around 4 and opened the “Replicate” window (it looks like a flower) and clicked “Mirror Right”. I ended up with 12 stems, 8 facing one way and 4 facing the opposite way. Don’t worry about them all lining up, we’ll fix that in a second. 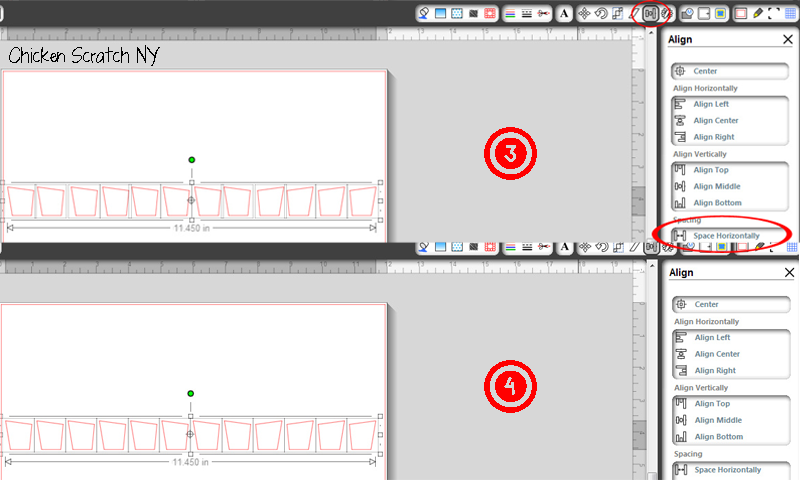 Now draw a box around all of the stems and switch to the “Align” window. Click “Align Middle” to bring the stems all into a line. 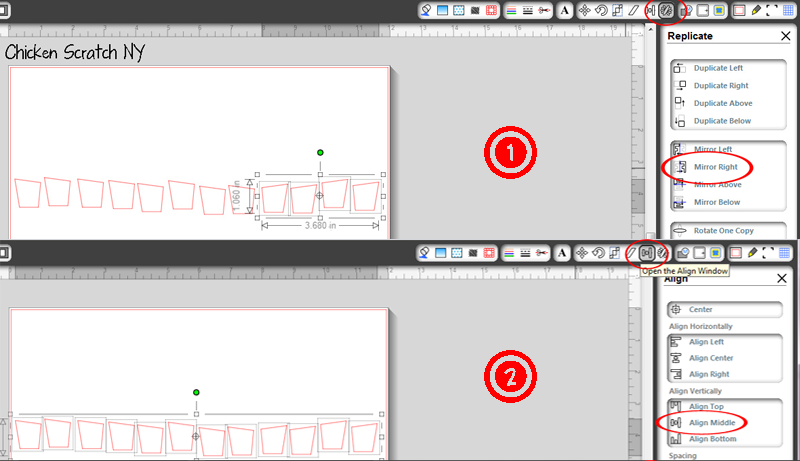 T0 spread them out and easily make sure nothing in overlapping select “Space Horizontally”, this command spaces them evenly from the left-most to the right-most object, if you need more room drag one of your outside stems further away and repeat the command. Now all your pieces should be lined up and spaced out. Draw a box around all the stems and drag them to the top of the paper. Cut them out like normal. I used a brand new mat and even after cutting all of the backs and stems out of heavy textured card stock I had a terrible time removing the printed paper and my pieced ended up very curly. I pressed them in a book overnight to flatten the pieces. After ruining one sheet of paper I dabbed the mat with a clean t-shirt to remove some of the crazy stickiness, I still had curling paper but I was at least able to remove everything on one piece! 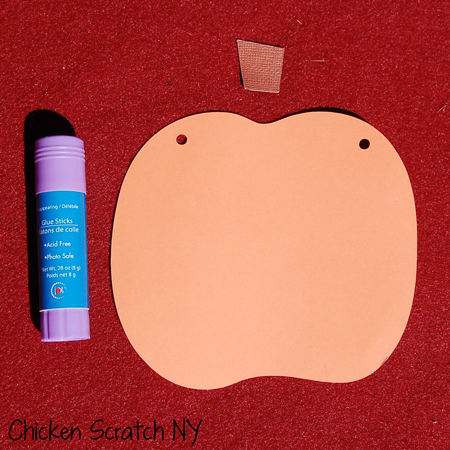 I used the glue stick to attach the stems to the tops of the pumpkins. 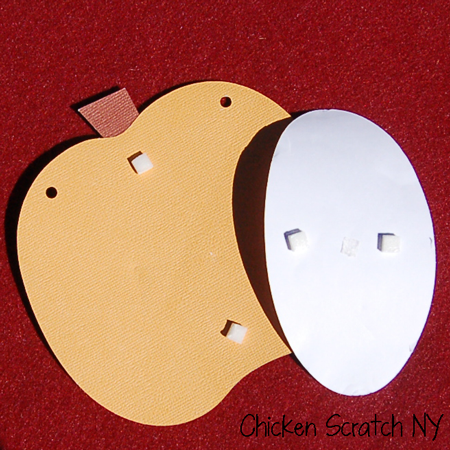 Then I used 1/4 adhesive foam squares to attach the front of the pumpkin to the the back. I found it works best keeping the foam squares at least 1/2 an inch from the edge of the paper. Even after spending the night in the giant book the were still a bit wiggly but I decided that added to the charm. I wanted to keep mine bright and clean but you could easily ink around the edges to add some dimension. The “floating” pieces were enough for me. I wanted to put my banner across the top of the hutch so I cut a piece of orange bakers twine long enough to give me an appealing arc and started stringing. I prefer using odd numbers for stuff like this, you never end up with a blank spot in the center. Since the pumpkins are actually pretty big I ended up using 7 out of the 12. 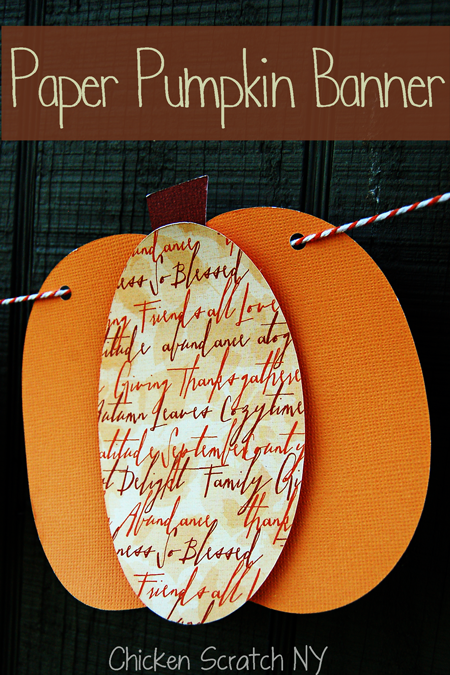 I would have never thought to put the coordinating prints int the middle of the pumpkins but it looks so much better. It literally looks like you bought this. Great job. And I am totally making this for fall! Thanks! It goes pretty fast since the pieces are so large and it’s super easy to do. Especially if you have a pad of coordinating paper! This is awful… I mean your project is cool… but I donated my Silhouette to a young teacher because I never learned how to use it properly! And on top of it, I have started scrapbooking again! I love how you did this, and the pumpkins look GREAT! Very cute! I love how you used different papers for the middle. Great tutorial and it came out awesome!!! I’m going to check out all the other links you posted too. Thanks. What a cute banner. I love decorating with pumpkins! Great job! that is so cute 😀 gonna have to try to make some of these this holiday ’cause my walls are BLANK!! 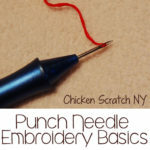 Excellent tutorial, those are so cute! That looks really cute. Makes me want to decorate my house. I just got a Silhouette to review but haven’t used it yet! Looks like your banner came out much more beautiful than the Silhouette one 😀 Love the colours and pattern you chose! I love the look of these! Great job! I am going to try a similar version. I love this craft… looks so elegant yet is so simple to make..thanks for the step by step instructions and I can’t wait to make one for my living room now. What a gorgeous pumpkin banner! I’m a Silhouette newbie so thanks so much for your tutorial! Oh this is adorable – I so want to make something like this – pinned. 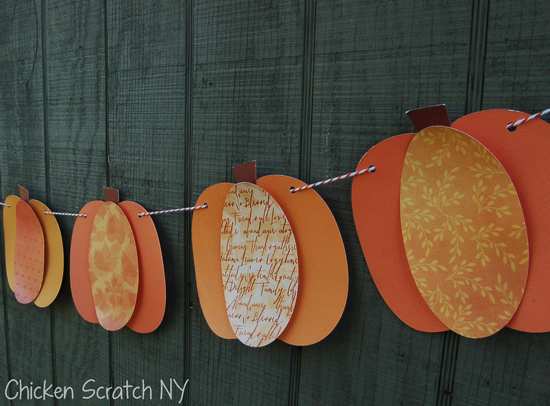 This looks like such a fun and festive banner for fall! I love your use of the baker’s twine – – and your variety of papers is just lovely. 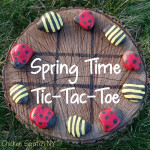 So glad that you joined our group, Alecia, and that you participated in this month’s Silhouette Challenge Group Post! Whoo hoo! I can’t get over how cute this is! I love LOVE all things fall and winter. You are my kinda gal getting ready for the season! This is just too cute. I love learning how to do new things on the Silhouette machine. Thanks for sharing your tutorial. Found you through the Link Party Palooza, and I’m definitely pinning this idea. Such a cute banner! Every time I see a Silhouette project, I remember how bad I want one 🙂 Thanks for linking up to the Less Laundry, More Linking party.